I have the best job ever. Where else can I play with a mama goat and her two little kids and participate in arts and crafts time? 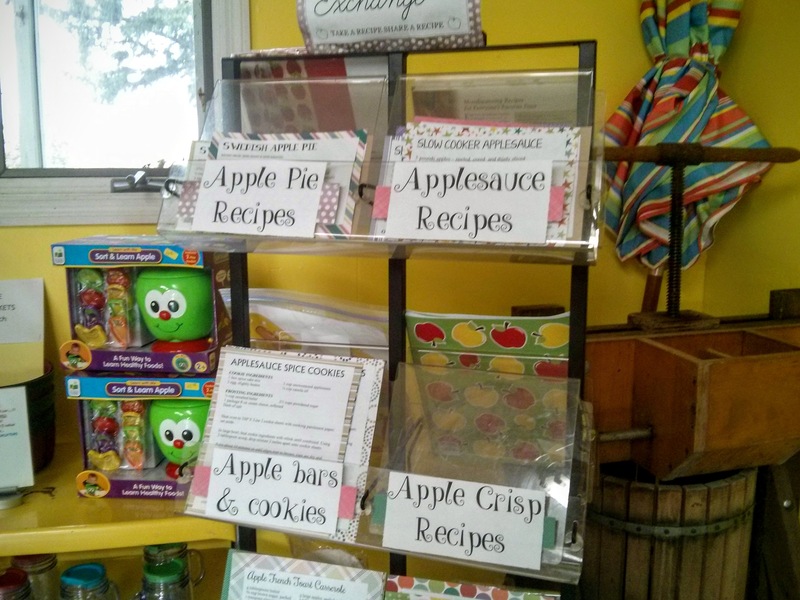 One side of a rotating display inside the shop at the apple orchard looked a little bare, and I thought it would be the perfect place to share and trade recipes with customers. 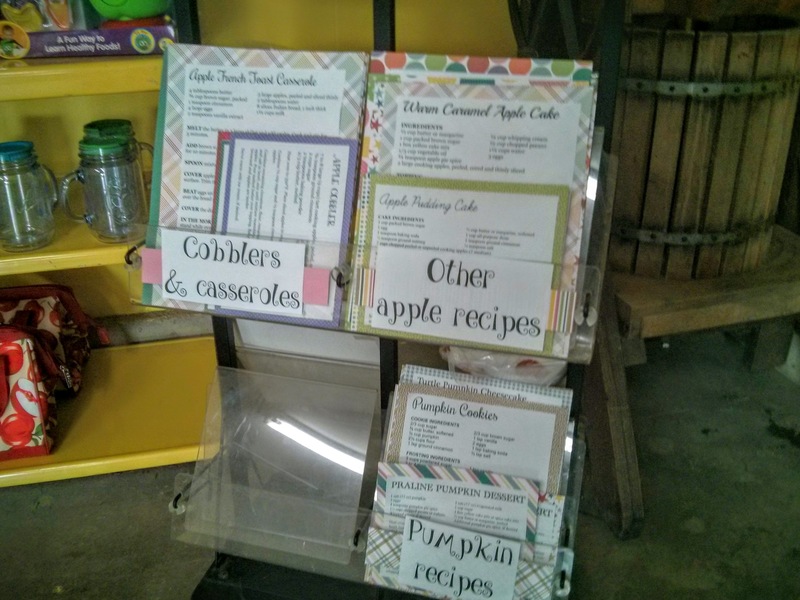 After getting the owner’s approval to move forward the Recipe Exchange display, I dug out my cookbooks, my scrapbook paper, double-sided tape, and portable paper cutter. 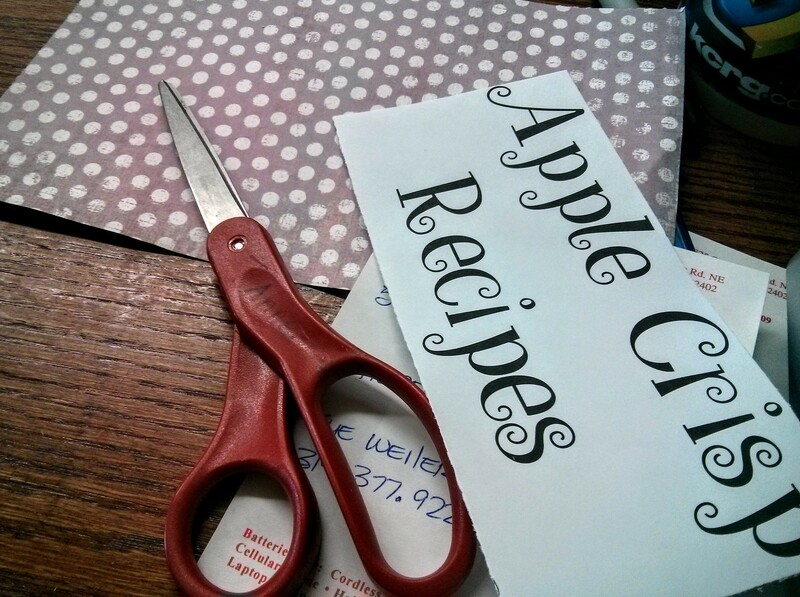 Once I had typed and printed out a ton of recipes using apples (some pumpkin recipes), I simply taped the recipes to pretty scrapbook paper. 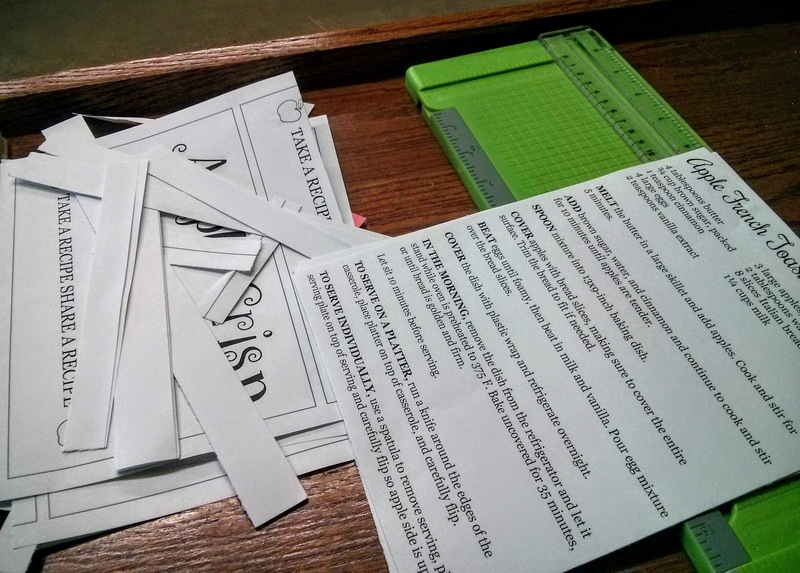 Yes, I could have been a little more creative — using decorative-edged scissors and stickers and other embellishments — but I was pressed for time. My main focus was filling the display with different apple and pumpkin recipes and having the recipes be available as soon as possible. “This has Jenny’s handprints all over it.” Best compliment my sister, Kristen, gave me when she saw the Recipe Exchange display. Awwwwwww. The owner even praised my creativity and work on the display. I’m happier when I see customers looking over the recipes and taking a few. Once I’m finished with printing out recipes, I’ll dig through my scrapbook bins and work on embellishing the display little by little. 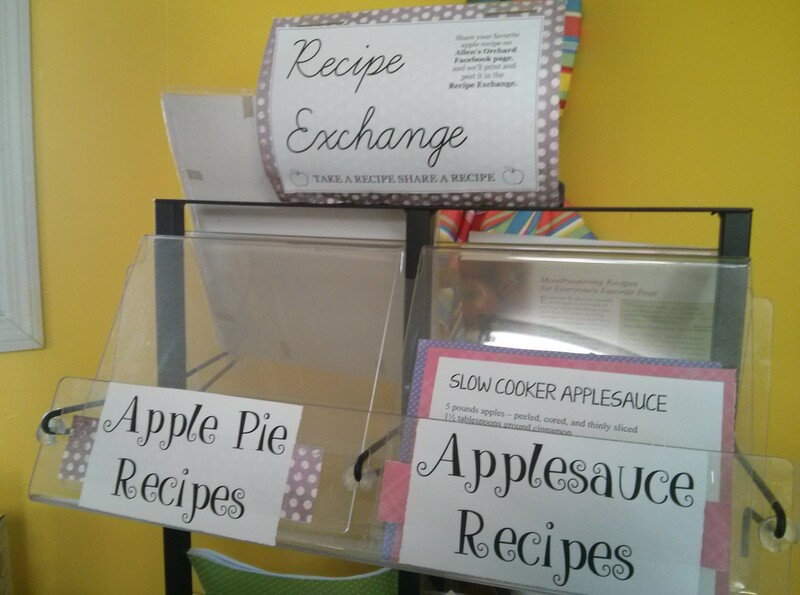 I’m just happy I found a project where I could put my scrapbook supplies to good use and share my mom’s super awesome and super easy Swedish apple pie recipe. You do have the best job ever if you get to play with baby goats and have arts and crafts time. Nerd. 🙂 Love you!